Our heating & cooling products are some of the best in the industry. When you’re in the market for heating & cooling products for your Lake Norman, North Carolina home, it’s important to work with a team of professionals to handle the process. At Cool Comfort Heating & Air, we specialize in heating & cooling products, offering options from the top brands in the industry that offer efficient heating and cooling, along with many other benefits. We also offer innovative options for customers that like to think outside the box, such as ductless mini-split systems that offer more targeted heating and cooling, heat pumps that provide efficient heat transfer, and smart thermostats that provide access to the HVAC system from anywhere. Our heating & cooling products are some of the best in the industry. However, we don’t charge a fortune when we install, repair, or maintain HVAC equipment in your home. When you contact us for service, we’ll send an experienced and knowledgeable technician to your house, who can determine what is needed. If a repair is the best option, we can give you a bid to fix the issue and get your system up and running again. For older systems, replacement might be a better choice. Although the cost for installation might seem overwhelming, you can take advantage of benefits like improved efficiency and lower monthly bills, which can help offset that initial financial burden. With our wide selection of heating & cooling products available, you can contact us for any of your HVAC needs. 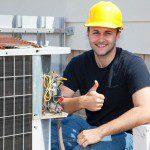 We’ll provide you with a cost estimate for the necessary services and can start working on the job right away to improve efficiency and keep your home comfortable. At Cool Comfort Heating & Air, we provide high-quality heating & cooling products in Mooresville, Huntersville, Cornelius, Denver, Lake Norman, Troutman, and Davidson, North Carolina.